Drew Angerer/Getty ImagesMicrosoft’s hardware boss, Panos Panay. 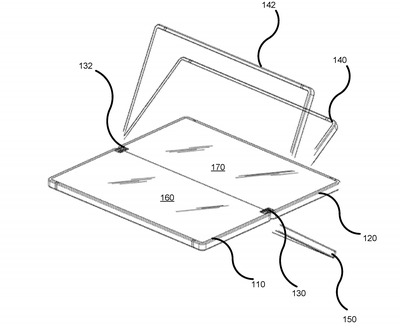 Microsoft has filed a patent for a nifty hinge for a foldable smartphone that would let you use two screens at any angle – lending more credence to reports that Microsoft is working on a foldable smartphone to debut in 2018. 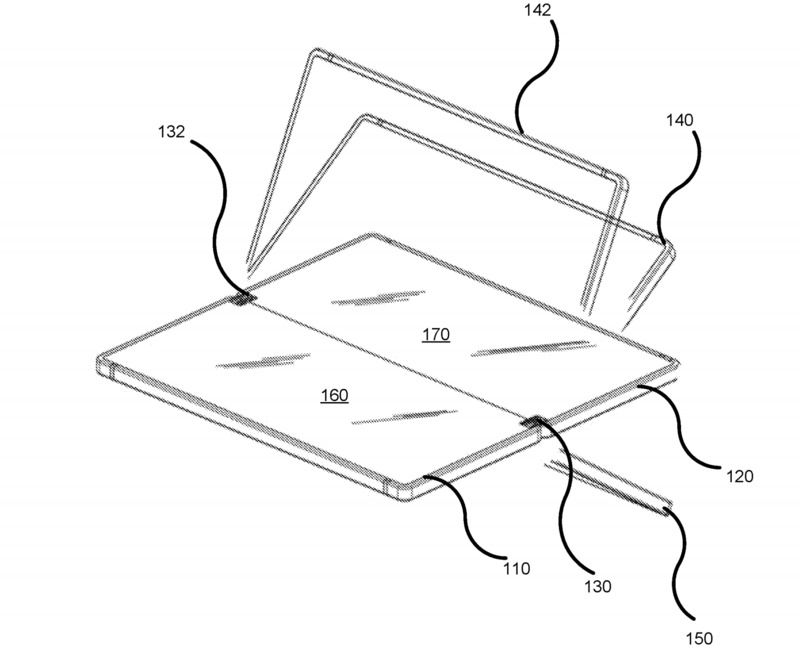 In the patent filing, Microsoft explains why a foldable screen is necessary: With edge-to-edge screens like the iPhone X or Samsung’s Galaxy S8, the only way to get more screen space without bigger phones is to add another screen that folds. Rumours are swirling that Microsoft’s next big swing at the smartphone market will be in the form of a foldable “Surface Phone” – a rumour only accentuated by a new patent filing for a nifty new hinge, first noticed by Windows Latest. The actual hinge design in the patent is interesting: It’s called “Hinge with Free-Stop Function,” and it would connect two screens in such a way that the actual hinge mechanism doesn’t stick out or protrude, so the device sits flat in your hand. As a bonus, this hinge would let you leave the screens unfolded at any angle and still be kept upright. Microsoft/USPTOA drawing in the Microsoft patent filing shows how this hinge would work in a hypothetical future device. When laid flat, it could act as one big screen. But you could also fold it up to use like a tiny little laptop. Even more interesting, Microsoft explains why it’s even giving so much thought to the idea of a foldable smartphone. 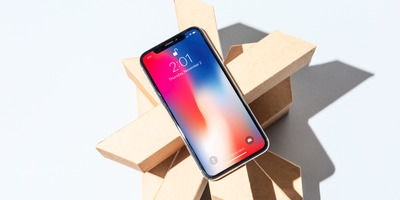 The short version is that Microsoft believes the rise of edge-to-edge smartphone screens – like on Apple’s iPhone X or Samsung’s Galaxy S8 – means there isn’t much room for improvement on the current design. Either you can make the phones bigger, which would make very few people happy … or you can add a second screen. It’s an interesting idea, even if it’s not really clear why Microsoft thinks “dual-display devices are becoming more popular.” Apart from perhaps the Nintendo 3DS video game console, there aren’t a whole lot of portable two-screen devices out in the world. That said, Samsung is said to be working on a flexible, foldable phone. 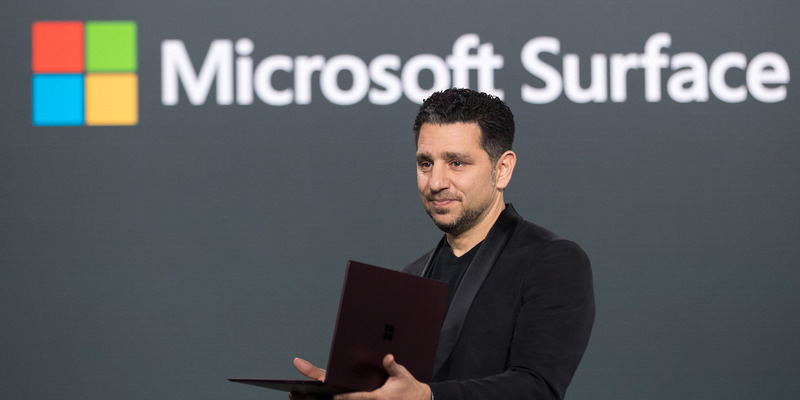 Hollis JohnsonMicrosoft thinks edge-to-edge screens mean the only way to get more screen real estate is to add a second, foldable screen. This is just a patent, of course, and it doesn’t mean Microsoft is building a device. But it’s an interesting insight into how Microsoft is looking at the future of smartphones, and it will be intriguing to see whether anyone else follows its logic as we head into 2018. Still, if Microsoft does decide to turn its patents into a real device, it will have its work cut out for it. This year,Microsoft officially declared that its Windows 10 Mobile platform was dead. This means that whatever Microsoft has up its sleeve to take on iPhone and Android devices, it’s probably something we’ve never seen before.